Traveling with children is hard. Traveling with twins or more is almost the stuff nightmares are made of. 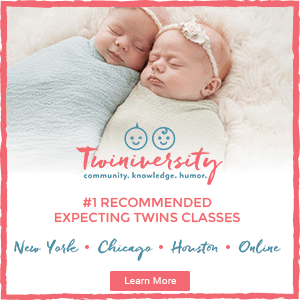 Any parent of multiples knows that traveling with twins in tow is so difficult, that sometimes a punch in the face could be considered less painful. 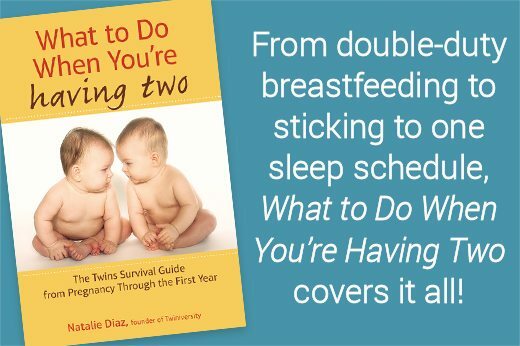 Whether you’re driving, flying, or cruising, traveling with multiples presents a unique set of challenges for any parent. 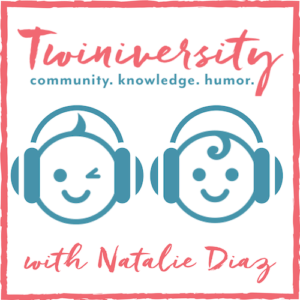 Destination considerations are a challenge—my husband and I talked at length about this. Our family includes an 8-year-old, a 5-year-old, and two-year-old twins. Where to take them, what would they enjoy, what’s safe? What could we survive as parents? We decided that with our family of 6, a beach destination was not a safe idea, because children outnumber parents 2 to 1. After discussion, we decided that Chicago was within driving distance, and offered plenty of kid-friendly things to do. Next, we were tasked with choosing a hotel. What hotel would offer upscale and elegant accommodations for the parents, while still welcoming the children and give our family an overall sense of home away from home? It needed to have a swimming pool for sure, parking, and cocktails for Mommy. Wait- what? Strike that last part—traveling with twins isn’t THAT stressful, right? RIGHT? We read reviews and hotel web pages and decided that the Four Seasons Hotel Chicago offered exactly the atmosphere we desired. Upon arrival at the Four Seasons Hotel Chicago, our family was greeted by the friendly valet staff and offered various flavors of gelato as our car and luggage were taken for us. The staff was kind to dispose of all the children’s snack wrappers and cups (and there were multitudes of these things) so that our vehicle stayed clean. 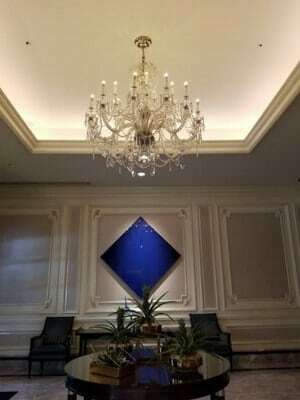 We took our gelato into the hotel, which was elegant and inviting, with gracious and helpful staff. Check-in was a breeze. The children were entertained during check-in with a hotel treasure box, where each child picked out a toy. Because our family is so large, we opted for two connecting guest rooms, giving us a total of 4 beds. When we entered into out our scenic guest rooms, the twins and their older siblings were ecstatic because waiting for them on the beds were Four Seasons t-shirts, teddy bears, and shoe bags (in case the children desired a complimentary “shoe-shine”). The rooms offered a breathtaking panorama of Lake Michigan and the Hancock Building. Rooms were spacious and fully equipped with everything our family needed to feel comfortable and welcome. Our room door even had a child-level peephole in! Just when it seemed like our accommodations left nothing to be desired, Four Seasons staff revealed to us that within the hotel, there was a special room just for kids! Four Seasons Hotel Chicago has a fabulous Kids’ Club complete with basketball, puzzles, toys, play kitchen, air hockey, foosball, and TV. Bottled water was available in the Kids’ club for those youngsters who work up a thirst having so much fun! The room provided fun entertainment that delighted all of our children. Best of all, we could let the kids play without them bringing all their junk, I mean, beloved toys, along on the trip. After our exploration of the Kids’ Club, we returned to our rooms. The twins and their siblings were astonished when we heard a knock on the door—it was the Four Seasons Hotel Chicago Ice Cream Man! The Ice Cream Man is a special amenity that Four Seasons Hotel Chicago offers for young guests. It consists of an old-fashioned ice cream cart with multiple flavors and any toppings an ice cream lover could imagine. Luckily, the twins made their sundaes extra-large so Mommy and Daddy could, er, “help” a bit. After the excitement of ice cream, our family left the hotel to explore Chicago. Along the Magnificent Mile, Four Seasons Hotel Chicago is located within close proximity of the best shopping, dining, and attractions that the city has to offer. We were able to stroller the twins and walk to almost every destination. 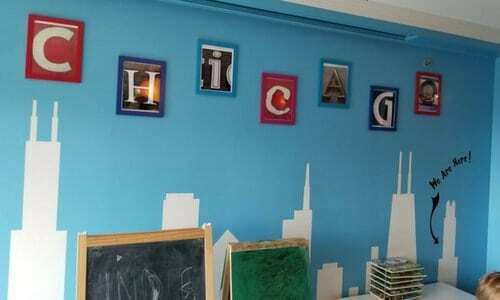 After a night out on the town, we returned to our room where awaiting us was another surprise—Chicago skyline-shaped cookies, beverages, crayons/coloring books, and popcorn so we could unwind and get ready for bath time and bed. Bed! Finally bedtime! The Four Seasons Hotel Chicago beds are SO comfortable, that my husband actually called downstairs to find out what kind of mattresses they used so we could get the same for home—they’re THAT comfortable! On Day 2 of our Chicago trip, I got up early to go to the Four Seasons Hotel Chicago gym and pool before the rest of the family awoke. The stately Greek-inspired swimming pool will look familiar to most guests—it’s the very pool where little Kevin McCallister practiced his cannonball in Home Alone 2! The gym is well-appointed with every product one would need to get ready for their day after working out. Equipment faces picture windows overlooking the city, and the gym locker room is stylish with wooden lockers and marble floors and walls. Lemon and melon water were provided. Later in our long weekend, the whole family went for a swim. Four Seasons Hotel Chicago again was on the mark by providing puddle jumper-style life jackets, goggles, and pool toys. What a relief to not have to bring all that equipment! After my workout, we all packed up and headed to LegoLand for a day of fun. (Tip: If you eat at Rainforest Café the night before, child admission to LegoLand is free!) As if a day at LegoLand isn’t fun enough, the twins and their siblings were once again surprised by the amazing staff at Four Seasons Hotel upon our return with individual cups filled with colorful gummy worms, artfully arranged on a table in our guest rooms. On Day 3, we awoke early for a morning of sailing and shopping. We came back to the Four Seasons Hotel Chicago—our now “Home Away From Home”—to yet another surprise for the children. 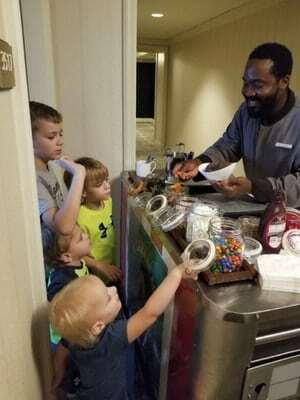 This time, hotel staff provided them with an array of cupcakes—a perfect way to top off an exhausting day of fun! It is important to note that children with food allergies are accommodated by the Four Seasons Hotel Chicago. In-room dining ensures that children with food sensitivities/allergies are afforded fun culinary surprises as well. Four Seasons Hotel Chicago was so welcoming of our twins and their siblings. The children could not wait to see what surprises awaited them at every turn! Although Chicago is a crowded and congested city, the valets were incredibly accommodating with our large family. They helped the older kids out of our vehicle, got the stroller out of the back for us, got it ready for us, and allowed us plenty of time to unbuckle the twins and get them situated. The staff was extremely polite and friendly to the children, always greeting them with a smile. Concierge services allowed us to make arrangements to visit our most desired locations such as Shedd Aquarium, Field Museum, LegoLand, a nearby theatre to catch a movie—all without waiting in long ticket lines where our two-year-old twins would surely get restless. Four Seasons staff was efficient in their ability to foresee and meet our unique needs that traveling with multiple children presents before we even needed to express them. From the mundane to the extraordinary, Four Seasons Hotel Chicago knows how to show families a magnificent time. 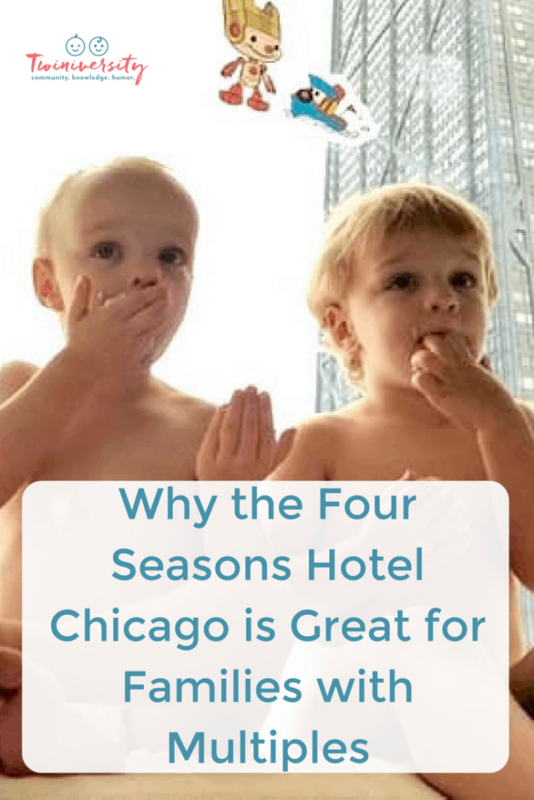 Next time you take your twins on family vacay, be sure to check out Four Seasons Hotel Chicago—it’s a destination unto itself! 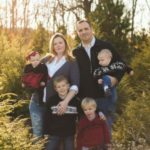 Stacey Bibb lives in the St. Louis area with her husband Ryan, their 7-year-old son Philip, their 4-year-old son Jack, and 18-month-old boy/girl twins Conor and Jorie. She works as a psychological examiner, and she and her husband run a funeral home! She loves traveling, sports, survival, and Starbucks. She is especially excited on days that she manages to arrive at work with her hair done and an outfit that actually coordinates.